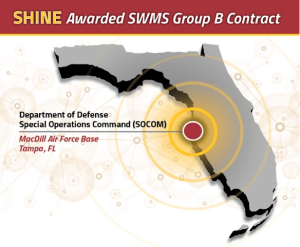 CHARLOTTESVILLE, VA – October 28, 2015: On October 14, 2015, US Special Operations Command (USSOCOM) awarded a SWMS Group B Contract to SHINE Systems & Technologies. 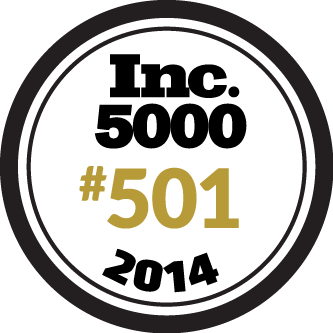 This IDIQ award comes with a 5-year ordering period where SHINE will act as a Prime Contractor. USSOCOM, headquartered at MacDill Air Force Base, Tampa, FL, was established as a unified command in 1986 by Congress to address concerns regarding the status of Special Operation Forces (SOF) within overall US defense planning. SHINE Systems is now eligible for work supporting USSOCOM and SOF units. Our services have the potential of assisting in providing critical intelligence support to USSOCOM organizations across the globe. Education and Training Services including vocational and technical training at the individual, collective, or staff level on a variety of subjects. Management Support Services including services to provide advice and assistance with the management and operation of an organization that are closely associated with the basic responsibilities and mission of an organization. Administrative and Other Services including creating, revising, or maintaining administrative workflows and procedures to make an organization more efficient and using information technology systems to generate and retrieve information. Our past qualifying experiences as a Prime contractor include the coordination and deployment of certified Palantir Field Service Representatives (FSRs) for government and commercial clients worldwide. Specific to SOCOM, our past work has included program management support to enable Palantir modifications, hand-picked Palantir Subject Matter Experts (SMEs) to support Special Operation Forces (SOF) units, as well as Palantir training to individuals and large groups across multiple global missions. SHINE also possesses extensive Prime-contractor experience working with the National Ground Intelligence Center (NGIC) where we provided program, risk, quality, financial and budget management, as well as acquisition support to aid the NGIC in the management of the CITP Intelligence Fusion Center. 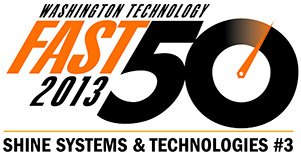 Additionally, SHINE Systems has provided various other services as a Prime including training, mission support, data ingestion, systems administration, briefings, reports, and curriculum development to multiple other government agencies including SWTG-Ft. Bragg, USMC, US Army, DIA, NCIS, and COIC.